This Edition of the classic word game comes in a large format, premium all wood mahogany edition. 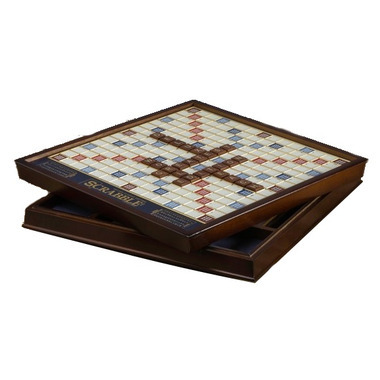 This editions comes with a rotating board, a raised grid and built-in storage beneath the game board. 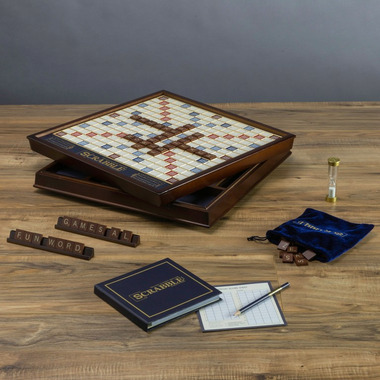 Beautifully crafted, this is a great gift or for families that play Scrabble regularly.